Chippenham CBT Training is one of the most unique locations to take motorcycle training in the UK. Chippenham nestled on the East of the Cotswolds and an hour West of London, may be one of the most picturesque and relaxed locations to take your first steps on to two wheels. With a bustling market town RideTo advices avoiding the compact town centre on Fridays and Saturdays. RideTo's CBT Training Partners in Chippenham are experts in training new riders and will ensure that you are not put under and unnecessary pressure. Riding into the Cotswolds couldn't be easier and is often used in the final part of the 5 parts of the CBT by our team in Chippenham. CBT Training in Chippenham supplies local areas - Corsham, Lacock, Castle Combe, Grittleton, Melksham and nearby towns and cities - Bath, Bristol, Swindon and Stroud. What does CBT Training entail? CBT Training takes between 6-8 hours on one day. With great availability in Chippenham allowing riders to train at short notice, 7 days a week. CBT Training requires by law for you to have a UK Provisional Licence, UK Full Driving Licence or EU Licence with a UK counterpart. Unsure whether you can you take a CBT Test? How to get riding on two wheels? The first step is to have the correct licence, the second step is to book CBT Training and the final step is to gain insurance and a bike. 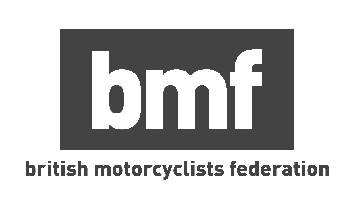 If you are looking at advice on purchasing a bike or/and insurance, take a look at the 10 motorcycle you can ride on a cbt licence and 10 things to consider before buying motorcycle insurance.